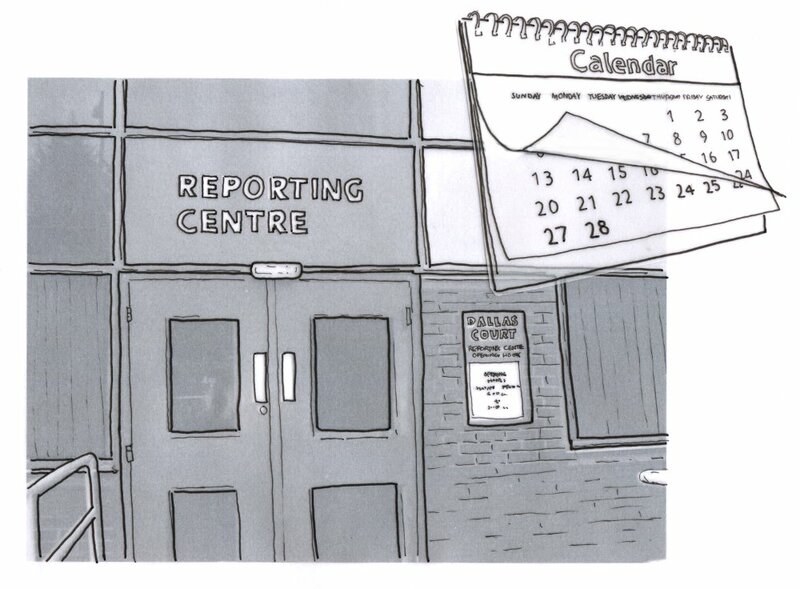 Last week, Mishka, a campaigner from the Freed Voices group, wrote an excellent article in Red Pepper magazine about the “excessive and cruel” reporting conditions that migrants are told they must adhere to. He was writing in response to the decision of the Home Office to tell people from Stoke-on-Trent that they must travel to Salford to regularly report, a five hour round trip for what might be a two-minute appointment. These fears are echoed in a recent report about the experiences of women in the West Midlands who are seeking asylum. Ultimately, the real solution to this distressing ordeal is to end immigration detention. Find out more about that here. Until then, there are practical things that people can and should be doing if they or someone they know is at risk of detention. As Luke Butterly wrote in this article, there are lots of examples across the UK of individuals and groups providing solidarity to each other.